If you missed #22 click here. Best Moment: Creating your own characters and finishers, and even giving your finisher it's own new name! Wrestling games came and went in the nineties but it was a largely hit and miss genre of games. But then in 2000, the WWF Smackdown games changed everything. The first two WWF Smackdown games came out in the year 2000, and were very similar in many ways. The first one, was great but had some awkward flaws, particularly in the Season mode. But despite that, upon release it was just incredible. There was no commentary but you didn't need it, because it was just non-stop action and fun in the ring and heavy music to back it up. The original WWF Smackdown games were just carnage, but in a very good way. What I loved the most about the first Smackdown game was naming your finisher, something that's rarely, if ever, happened since in any of the Smackdown series. I've always wanted to name my finisher, being a huge wrestling fan, so the omittance in future games sucked! 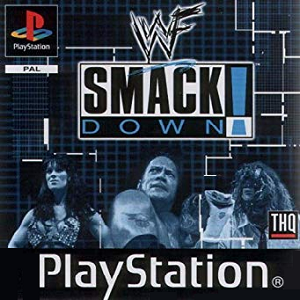 This first Smackdown game was great at the time, even if it does look very dated now. What game kicks off my Top 20? Find out by clicking here!